“When things get hard, they just work harder. It’s one of the things that makes us (David Witt and Seng Huang Lee) proud of the team. The ethos of a Scallywag: endure, adapt, excel, and to never give up,” said Witt. “But at the end of the day, we are just a bunch of mates sailing together with an ever-growing Scallywag family from all over the globe. And we’re excited to take on the race by storm.” The goal for the owner and the team is raising and promoting competitive sailing in Asia, while building a long-lasting youth sailing legacy in Hong Kong in conjunction with the Hong Kong Sailing Federation. 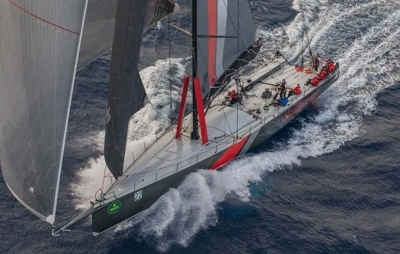 The team has made history by being the first ever Hong Kong entry into the Volvo Ocean Race (2017-18 edition), also winning Leg 4: Melbourne to Hong Kong for Hong Kong’s debut stopover, as well as coming second place in Leg 6: Hong Kong to Auckland.